I’m ready for springtime, bluebonnets, and the end of cedar fever in the Texas Hill Country! Like the title says, I’m ready for spring. I’m ready for bluebonnets and Texas wildflowers to fill the fields along dirt roads and county roads throughout the Texas Hill Country. I’m ready for all the brown, dead grass to go away and for green to take over. I’m also ready for cedar fever to disappear! We need rain. In looking at the rain totals throughout the Texas Hill Country and across the state, there were pockets that received quite a bit of rain. At the least, I’m hopeful for an average wildflower season when late March and April finally arrive. If we can coax a few more good rains from the clouds in February and March, we might have a really good wildflower season. Now we just wait. So as we wait on spring to arrive, here are a few images of our state flower, the bluebonnet. The first comes from Pontotoc, Texas from 2010. The second is a panorama of a field I found at sunset down a dirt road on the border of Mason and San Saba Counties. 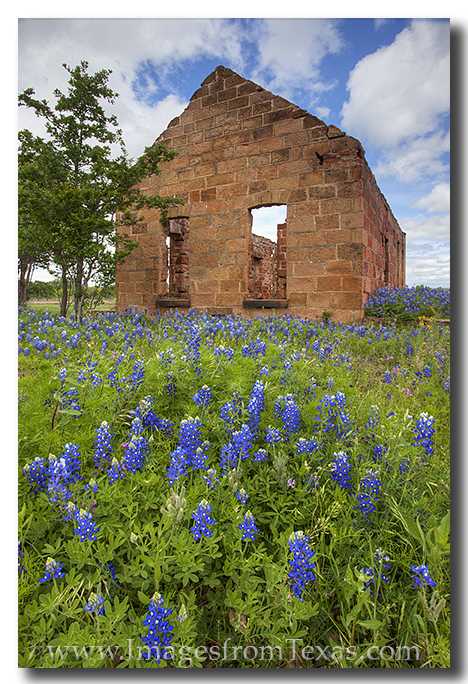 Bluebonnets surround an old stone building in Pontotoc, Texas, in the Texas Hill Country. A Texas bluebonnet panorama that comes from the Texas Hill Country in the spring of 2012. To stay up to date on my photography, I invite you to follow my images on facebook. See more bluebonnet images in my bluebonnet gallery. I also have another bluebonnet gallery here. Just wanted to wish everyone a Happy New Year. I hope 2014 exceeds your expectations. 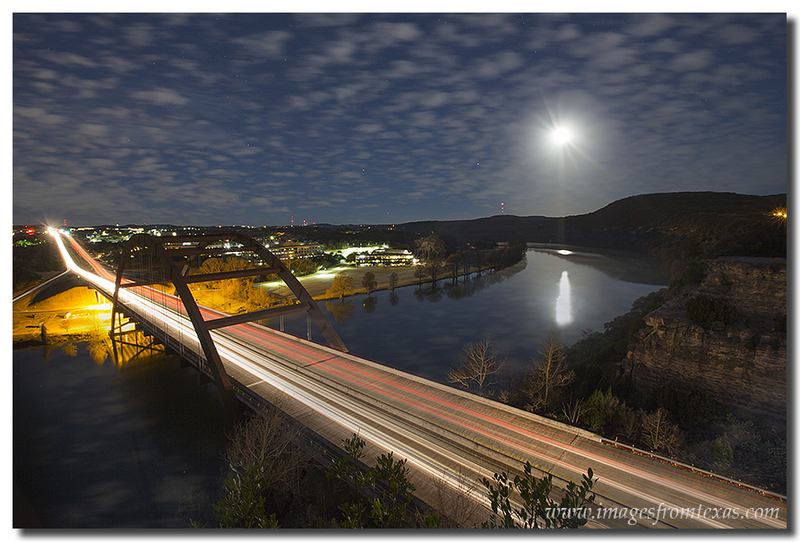 Here is a panorama image of the fireworks from downtown Austin and Lady Bird Lake last night. Fireworks explode over the Austin skyline on New Year’s Eve. See more at Texas images website.